FPHA Early Registration is open from 1/29/18 to 5/31/18. Registration must be paid in full before 6/1/18 to receive early registration fee. Non-FPHA Member general registration must be paid in full by 07/06/18. Must be a SHA member and must be paid in full by 07/06/18 in order to recieve general registration fee. 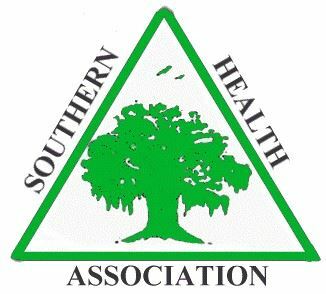 “Striving for Excellence in Public Health"
In partnership with Southern Health Association, Florida Public Health Association, would like to invite our members and other public health professionals from around the state to our Annual Education Conference. Presentations will focus around public health leadership, Accreditation/CHIP, disaster preparedness, health equity, and the opioid crisis. Location: Florida Hotel and Conference Center, 1500 Sand Lake Rd, Orlando, FL 32809, in the Florida Mall between Macy’s and Sears. Conference Attire: All conference functions are business casual attire. Please keep in mind that meeting room temperatures vary. You may want to bring a jacket or sweater to all sessions. Refund Policy: Cancellations received Thursday, July 12, 2018, or later will not be refunded. No exceptions. PHOTO/VIDEO DISCLAIMER: By registering for and attending this conference, you agree that your image may be taken during the conference and used at any time, without further notification, in printed materials, websites, social media and other marketing purposes.